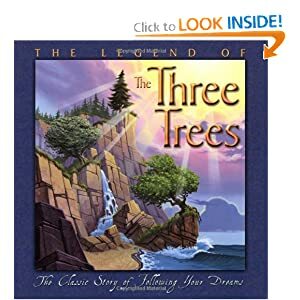 Ever hear of the Legend of the Three Trees by Catherine McCafferty? It's a story of three trees whose dreams came true in ways they never expected through God's purpose they become a manger, a boat, and a cross. It's one of those children's stories that has just as great a meaning for adults as it does children in reminding everybody that we will all be used beautifully for God's purpose. It would be a great book to read to young children any Sunday or on Easter Sunday or there's a 24 minute video on YouTube they could watch as well. Check it out! Jesus is risen and has a purpose for your life!